Medan, North Sumatra -- One month has passed, but Jamal Husein has not received the results of his interview with the team from the United States government. Jamal is one of the hundreds of Rohingya refugees from Myanmar being accommodated in Medan, North Sumatra, who are seeking asylum status and resettlement in the US. “We are anxious because there is no announcement on the result as of today and I am worried that the plan to send us to the US could fail to materialize,” he told The Jakarta Post on Monday. Jamal was about to leave the Pelangi Hotel in the provincial capital with his child to attend a government-sponsored immunization program. The hotel has served as a temporary residence for Rohingya refugees brought to Medan from Aceh and Pangkalan Berandan, Langkat regency. Jamal said the refugees had hoped the outcome of the interviews could be announced before the succession of the US presidency. Now, after the inauguration of US President Donald Trump on Jan. 20, they have become worried their hopes of setting foot on US soil might have been thwarted. Husein said the refugees’ anxiety was aggravated by Trump’s campaign, which was strong on anti-immigration rhetoric indicating Trump’s immigration policy will be less welcoming of refugees compared to that of former president Barack Obama. The US, he said, was the preferred asylum destination for a large number of Rohingya refugees sheltered in Indonesia. 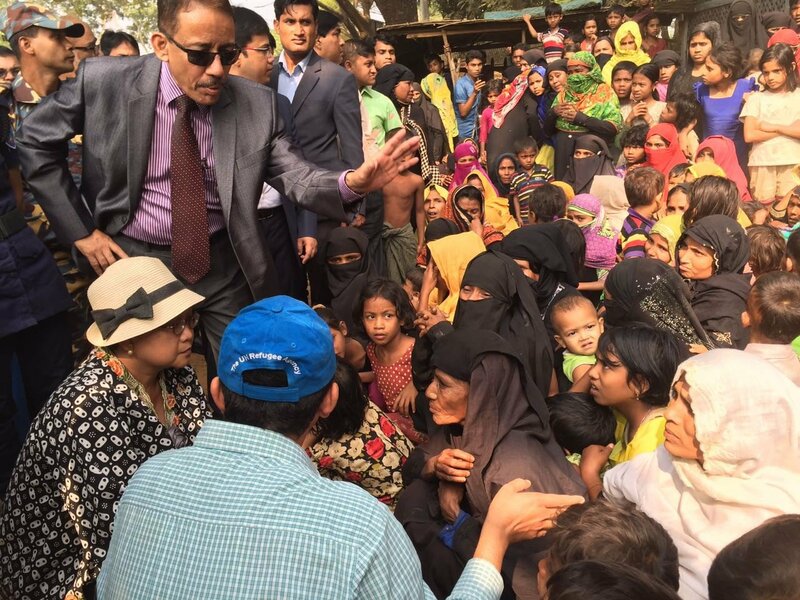 “There were 270 Rohingya refugees sent to Medan to take part in the interviews,” he said. Those who have not been interviewed are scheduled for February, including Mohd. Mas’ud, a Rohingya who entered Indonesia in 2015. He was optimistic his dream of starting a new life in the US would not be shattered by Trump’s presidency. “A promise has been made and I don’t think the US government will reject us,” he said. Even if that dream fails to come true, Mas’ud said he would refuse to be deported back to his home country especially after President Joko “Jokowi” Widodo signed a 2016 presidential regulation that could allow them to stay in Indonesia. Another Rohingya refugee, Sofih Alam, however, offered a different view. He said he would be ready to be deported back to Myanmar if the Australian government rejected his asylum. “As long as the Indonesian government could guarantee my safety in Myanmar, I would not mind being deported back. If there is no guarantee, I’d prefer to stay here,” Sofih said. The spokesperson of the United Nations High Commissioner for Refugees (UNHCR) in Indonesia, Mitra Salima Suryono, stated that not all refugees would get resettlement as a solution. Asylum requests submitted by several refugees had been rejected by the destination countries, she revealed. “We will find alternative solutions for those whose asylum requests are denied, such as by searching for resettlement in other countries,” she said. Separately, US vice consul for Sumatra, Tamara Greig, stated that the resettlement of Rohingya refugees in the US was organized by the International Organization for Migration (IOM). Thousands of people of Rohingya ethnicity, who are Muslim, have fled Myanmar in recent years as a result of prolonged persecution by local authorities. Many of them have traveled to Southeast Asian countries such as Indonesia and Malaysia aboard rickety boats via the Malacca Strait.